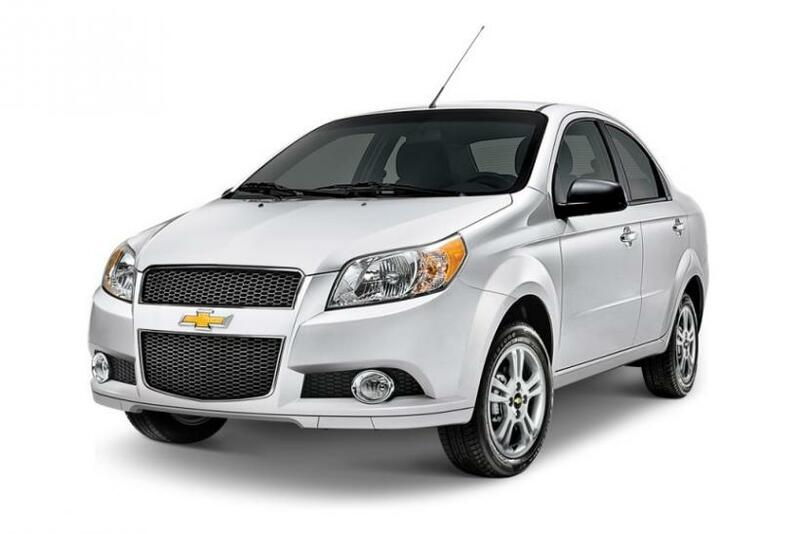 As the Chevrolet Aveo careens at 40 mph into a barrier, the front end of the car compresses like an aluminum can, sending a crash-test dummy’s head into the steering wheel of the low-price subcompact that has become Mexico’s best-selling car. This scenario, depicted in a crash-test video released this week by auto safety advocates, could never happen to an Aveo driver in the United States or Europe, because government regulations force General Motors to install air bags, a crucial safety feature. But the rules are different in poorer countries with looser auto safety regulations. There, the world's largest automakers are free to maximize the thin margins they earn on low-priced cars, putting profits over safety. “Auto safety rules vary by country, but basically if the government doesn’t require it, it doesn’t happen,” said Judie Stone, president of Safe Highways and Public Education. 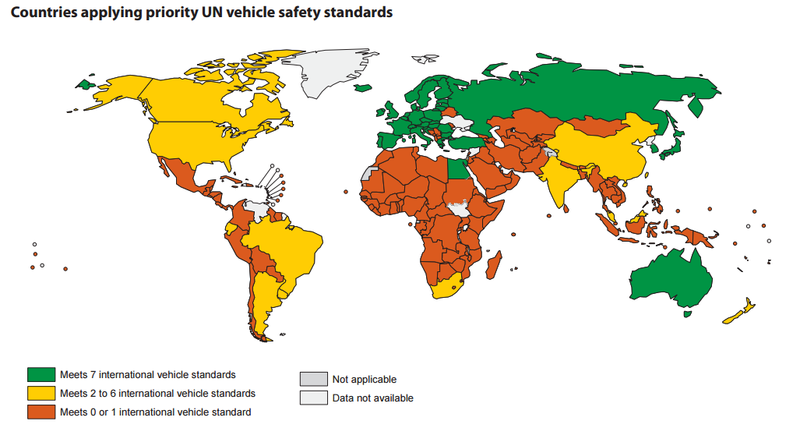 Vehicles that major car companies such as General Motors and Volkswagen manufacture and sell in parts of Asia, Africa and Latin America would fail safety standards in Europe, the U.S. and Japan, creating a double standard that divides the world into safety haves and safety have-nots. The Chevrolet Aveo is the starkest example of the industry's cost-cutting practice. The car failed independent crash tests conducted by LatinNCAP, a regional branch of the global New Car Assessment Program, among other findings it released this week. In partial front-end collisions, the damage to the Aveo is so extensive that the roof and driver’s-side door contort and separate, one of the signs safety experts check to rate structural integrity. Between the tin-can quality of the body and the missing air bags, the vehicle returned a "zero stars" rating from NCAP. Rodríguez is demanding action to improve Chevrolet’s track record in Latin America, a vital emerging market region for automakers. The double standard of offering fewer safety features in cars sold in emerging markets contributes to the much higher rates of death and injury from vehicle accidents in the developing world. “GM’s decision to withhold inexpensive and lifesaving air bags in the Chevrolet Aveo is inexcusable and indefensible,” Jacqueline Gillan, president of the Washington, D.C.-based Advocates for Highway and Auto Safety, said in a statement. Global automotive-safety advocates are converging on Brasilia Wednesday for the two-day Global High-Level Conference On Road Safety. Spearheaded by the World Health Organization, the conference comes midway through the United Nations' 10-year effort to globalize road safety standards by 2020. Safety advocates like NCAP have been trying to push governments and automakers to move faster in implementing seven basic auto safety standards promoted by the United Nations that cover seat belts, seat belt anchors, and protections from front-end collisions. They are also pressing for protection from side-impact collisions, child-seat anchors, pedestrian protection to mitigate injury, and electronic stability control, which helps prevent skidding. Some of the group's efforts have already borne fruit. Last year, Volkswagen responded to pressure from NCAP over selling its Polo in developing markets without air bags. Crash tests of the popular mini showed that while its body design was sound, it needed air bags. But the same testing in India showed popular low-cost models, like the Tata Nano, smashing like aluminum cans on wheels. 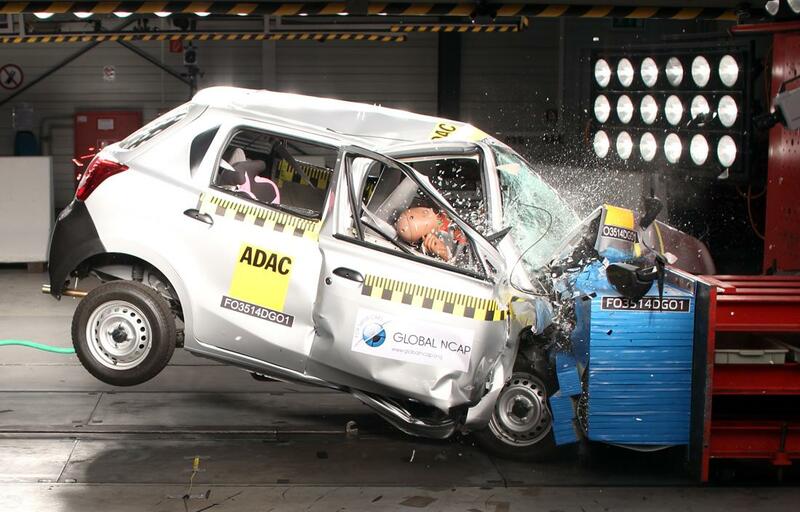 Last year, the NCAP slammed Nissan for the Datsun Go, a low-cost mini that, like the Chevrolet Aveo, has questionable body integrity and offers a lower-priced version without air bags.